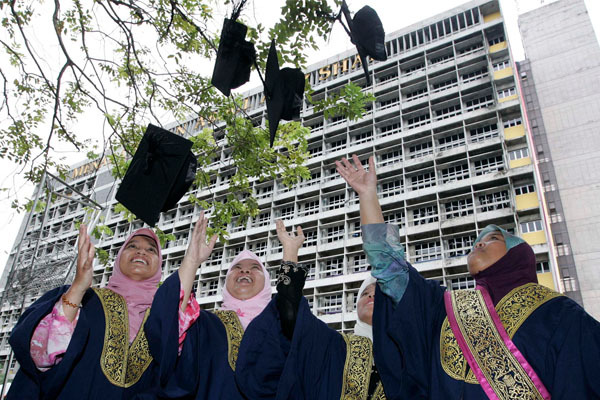 In year 2016, Malaysia has established 20 public universities, 34 polytechnics and 94 community colleges all around the country, which is a huge leap in the numbers compared to the 1960’s. In early 2016, University of Malaya (UM), being the leading university in Malaysia, is ranked 27th in Asia by QS ranking. But the question remains: Despite all the statistics and results in paper, are we really that good? Disclaimer: This article is not written to cause any kind of personal insults to any students, lecturers, or the management of the university, but rather a healthy food of thought for those who are reading this article. With this in mind, let’s proceed. 5. Exposure—We Are In Lack Of It! 2 years in University of Malaya, being involved in big and small events in the campus, I have come to realise that the students in UM have very limited exposure to the outside world. In other words, we are way too comfortable staying in UM, and while we think that we are the best in the country; we forgot to look at the outside world. We take pride for the way we organise activities and events, we take glory for our culture (MHS, Cheers, etc.) and we are the best breed of students because we are studying in UM. However, the truth is, looking out from the books and our annual events, we are actually not that good. It’s easy to test how well exposed a student is—just ask them something about the real world, be it a company’s name or current happenings around the country. I have come across a peer in the same faculty of mine who doesn’t know who is Tan Sri Zeti (ex BNM Governor), and some peers in the business/accounting/finance faculty who do not know what a startup is. Events organised by respective societies are also bottle-necked, with little content value and breakthrough in terms of takeaway value for the participants and committees. With all due respect, we have several societies that are really good event organizers, great multech and logistics, but we are lacking behind in terms of the content of the events held. Everything we’ve learnt and passed down are from the seniors and it becomes a culture as times goes by and we tend to forget to ask: Why are we doing this? What is the purpose of this event? While we are busy passing down ‘cultures’, we forgot to look out of our 4 walls and by the time we realise how events out there excel not only in terms of organisation but content, it would be way too late. While our ministers claim that our education system is one of the best, if not among the finest in the world, our system has produced a society of young undergraduates who are full of debts. To make things worse, they are unable to pay off the debt, leading to serious bankruptcy issues among young people aged 18-35. Yes, we are going up the ranks in the region and world, because QS Ranking do not include the level of financial education in the ranking criteria! A very wrong perspective of UM students is to think that it is normal to have little to no knowledge about personal financial management and financial knowledge just because you are not from the economics/finance/business/accounting background. Oh my, this is the reason why Malaysian youngsters are getting into financial trouble. – A reply from a junior when I asked about her knowledge in personal finance and investment. From the above conversation, even an Economics student doesn’t know about investment and personal finance management, because they were not taught about them! We are taught about the theories of economics and of course basic finance, we are taught how to score an A in the 14 weeks of lecture, but we are not taught how to generate income in real life using the knowledge learnt and how to manage our own money. As cruel as it might be, the best university in the country is producing what is considered as the best slaves to money—working the heck out of our lives to pay off debts due to lack of financial knowledge. How I wish QR Rankings set the usage of technology as one of the ranking criteria. Being the leading university in the country, UM is way behind in terms of technology. 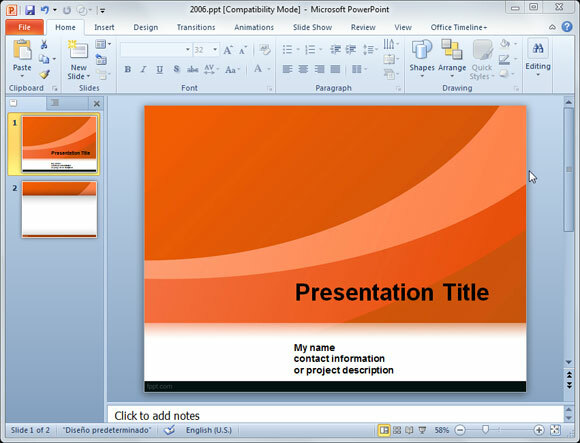 One significant example is the usage of Microsoft Powerpoint during lectures and tutorials. May I ask, why is this ice age software still being used in the best university in Malaysia? In renown universities in UK such as Imperial College London, software such as Microsoft Sway has been taking over PPT as the primary presentation tool, making presentations much more interactive and lively. Why are lecture recordings being uploaded in NTU, while in UM we are still struggling to use our phones to record what our lecturers say? Not only is the university slow in bringing in the latest tech to enhance the teaching and learning experience, students are pretty slow in getting update in tech as well. Very little people know what is virtual reality (VR), augmented reality (AR) and artificial intelligence (AI)—these are technologies that can help improve and enhance learning experience in the near future. This is worrying, because with the university bringing in technologies way too slowly, and with the students’ lack of technological knowledge, our teaching and learning processes will forever be stuck in, well, the ice age. Oh, did I forget to mention about WiFi in the campus? Initially I thought this is only an issue for the students from the arts background, but after 2 years studying in UM, I’ve come to a conclusion: There’s a lot of room for improvement for the English proficiency of UM students. 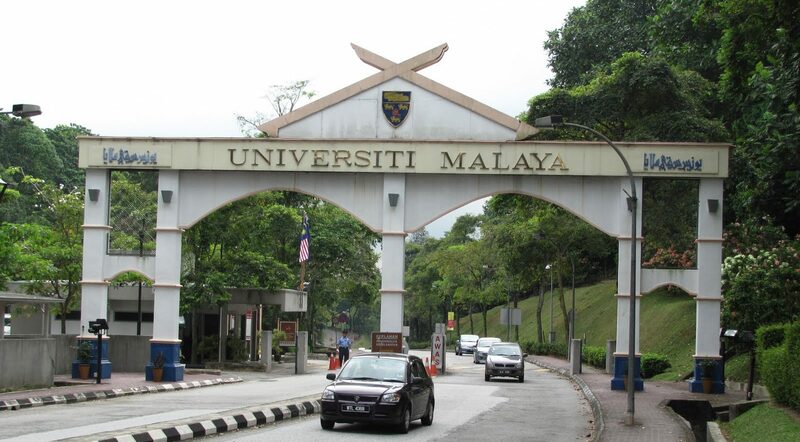 While it is acceptable that UM students come from different backgrounds and places around the country, and hence they differ in English proficiency, it is NOT acceptable that UM students are not trying to improve themselves. But sadly this is exactly what’s happening right now: UM students can write to near perfection, but when it comes to speaking and communicating, we fall short. The irony is, UM students take too little effort to brush up on their communication and English presentation skills. There are too many events that are carried out in our native tongue and we comfortably forget that if we do not speak good English, we are just a person with knowledge and abilities but are unable to convey ideas properly. To make things even worse, UM’s English programs are bad enough and in need of urgent refinement and restructuring. 3 hours of English classes a week is a terrible arrangement and the long hours make it awfully boring (even my important electives are only 2 hours). Classes such as Presentation at Workplace and Technical Writing have outdated modules, with presentation classes that ask us to randomly pick a topic and present it rather than training students on effective idea pitching in a workplace (which is way more relevant). Writing classes teach us how to write letters (I thought letters are the ‘tech’ of the Barbarian era?) instead of teaching us how to write a proper and effective email. In short, UM students needs to realise the importance of English, and work their hearts out to improve, because without it, we can’t succeed at workplace competency (perhaps unless you work for the government). 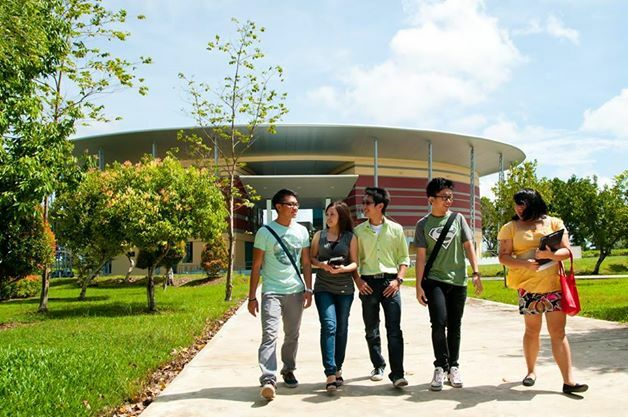 UM has one of the best culture among the universities in Malaysia. We are allow to dress freely as long as it is appropriate (unlike certain universities in the north), we have really good campus life with lots of different events and societies to join, you name it, we have it. We are at the center of the country, which in return offers various opportunities that other universities do not provide. However, several unhealthy cultures are bringing us down, and it will be costly for the future. First, being the most important of all, is the interaction between races in the campus. UM is by far the most diversified in terms of races, cultures, and ethnics of students all over Malaysia, but interracial interaction is still a challenge to be overcome in the campus. The common sight you will see is that Malays will be sticking with Malays, Chinese with Chinese, and so on. This is worrying because while we have a well balanced race diversification in UM, we do not have a strong interracial bonding in the campus, which can be reflective on the community that we will be living in. This disadvantage can be easily manipulated by politicians during future elections. 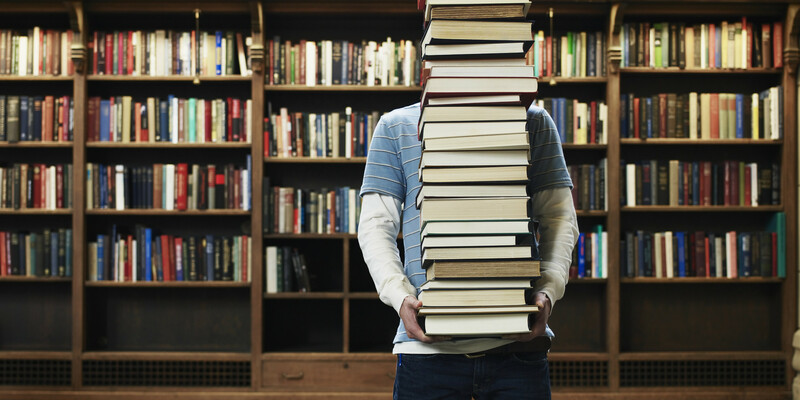 Lack of reading, albeit seemingly unimportant, is the core of knowledge-learning for a person. Students are too focused on their events, and are taught to finish tutorials and assignments and before we even realise it, mid-terms are around the corner. In the midst of all the madness, UM students tend to forget to equip themselves with external knowledge through reading. Learn all the soft skills that you can through events, but without constant improvement in knowledge, one’s growth will be stunted at a certain stage in life. So there you have it, the top 5 reasons why UM can only be the best in Malaysia, but not in the world. What I’ve mentioned above are more related to the issues that really affect the competency of UM students in their future workplace through my 2-year observation and interaction with students from different ethnics and faculties and involvement in various big and small activities in UM. While we are studying in the best university in the country, but let’s not forget that there are better talents and institutions out there that are constantly evolving day by day, and so we cannot stop improving ourselves. To end, dear friends, please remember: The day we stop learning and improving, is the day we die. Cheers for staying with me throughout this article! Do comment below if you have any other inputs or opinions! This article was first published here and was written by Chin Yi Xuan, an economics student studying in University of Malaya (UM). He held the position as the President of UM Economics Society (PEKUMA) during his second year, and was a Junior Executive of AIESEC during his first year. He is also a backpacker, food lover, casual photographer, ping-pong guy and above all, a rookie writer.